Governor Samuel Ortom of Benue State has said that time is now for the Presidential candidate of the Peoples Democratic Party (PDP), Alhaji Atiku Abubakar, to become president of Nigeria. Governor Ortom stated this, on Tuesday, at the Government House, in Makurdi, during a courtesy call on him by the North Central Women Unite for Atiku, led by its President, Mrs. Dorcas Din. The governor posited that when God permits a man, nobody can objects to it. 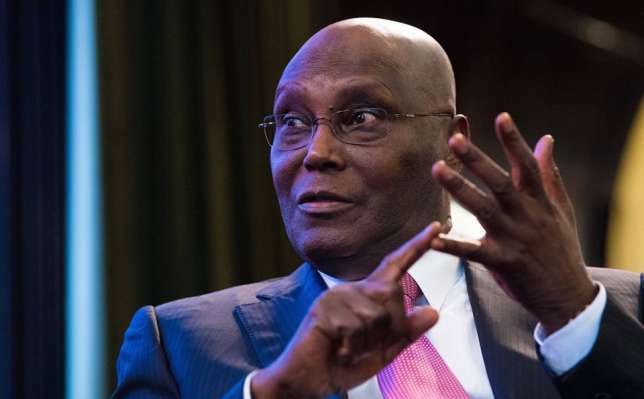 He emphasised that Atiku has the capacity to provide purposeful leadership for Nigerians as well as dethrone economic sabotage and imminent collapse of institutions under the present administration. The governor, who is the North Central Coordinator of Atiku/Obi Presidential Campaign Organisation, noted that it was hypocritical and deceitful for the APC-led Federal Government to demonise opposition members by sending antigraft agencies after them, only for the same people to become ‘saints’ whenever they join the APC. Governor Ortom also urged the women to be fervent in prayers as well as work harder to ensure the victory of PDP in all elections next year. He acknowledged the commitment of the women to the Atiku project, saying their powerful delegation was an indication that the North Central is poised to ensure massive votes for PDP in the coming elections. While assuring the women of the support of his administration to ensure resounding victory for Atiku, himself and other PDP candidates, Governor Ortom stated that when women are empowered, a nation benefits. Earlier, Mrs. Din, said the womenfolk had fared badly in the past three years under the APC administration at the federal level and would not want to remain like that for the next four years. She stated that they were all out to help ‘change the change’ by mobilising the women folk to vote out the APC government.